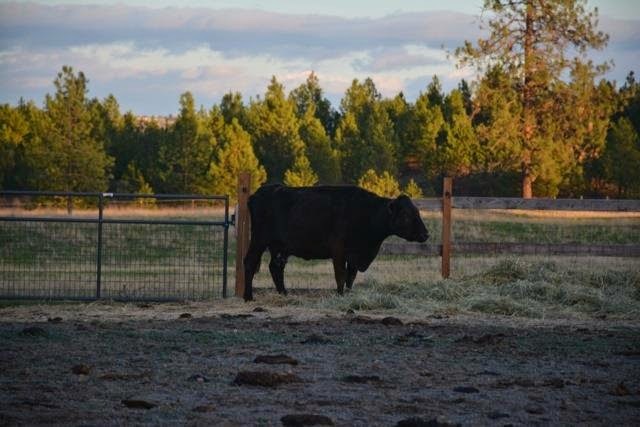 Rudy came to us as a lone bovine. 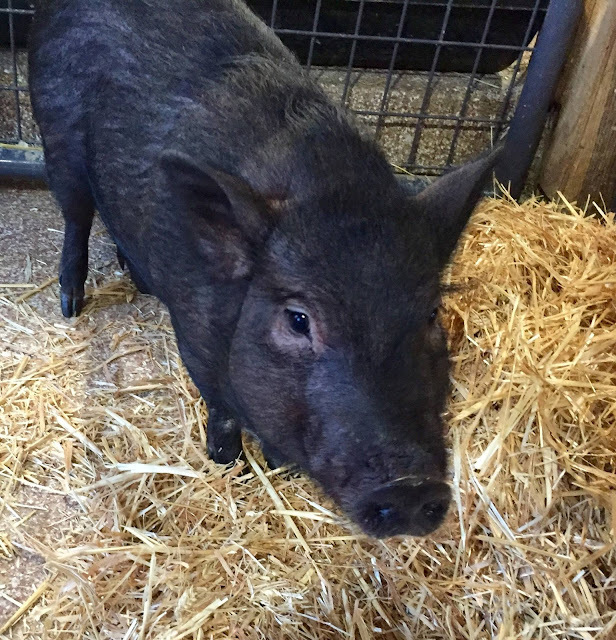 He had been seized by Animal Protection and brought to River's Wish in February of 2013. We experimented with various locations to shelter Rudy. He loved being with Delilah the pig and then with the little horses, but it seemed clear that he was still missing being with other bovines. 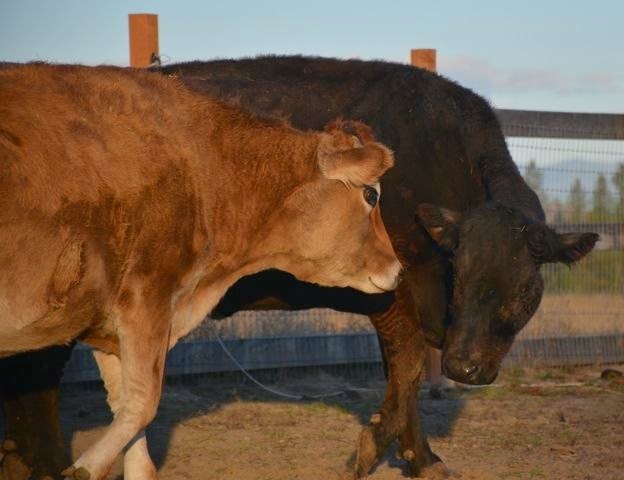 Our veterinarian Randy Scott offered to let his 17 year old cow Yula spend her remaining days with Rudy. The day Yula arrived was exciting for everyone. Rudy tried pushing her around, but she would not have it. From the start, Yula was letting him know that she would be alpha cow. Rudy conceded. They would lay with each other, groom one another and simply walk side by side. Rudy and Yula were soon inseparable. Rudy and Yula had a companionship that will never be replaced. In November Yula began slowing down and losing weight. We had the vet out a few times. Initially she rallied but within a short time she was no longer able to go on. 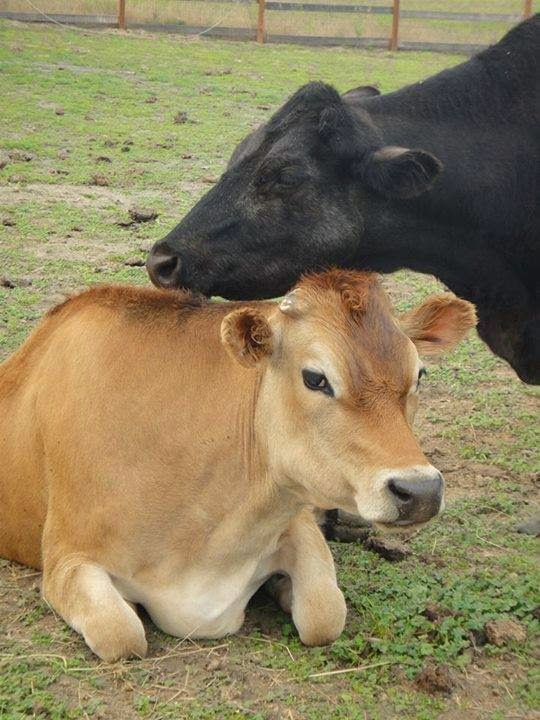 Most cows do not live to be 18, but Yula had and she lived with great dignity.Her time had come. With Yula's passing came grieving for all of us. The day we had to say goodbye to Yula, Pete went out with the backhoe and began to dig her grave. He has had years of experience of digging graves for various animals we have had to say goodbye to. He gives each burial the honor each animal deserves. Rudy bellowed as Pete dug the grave. When Pete pulled Yula's old body gently into the grave Rudy followed her down into the hole. He leaned over her body and licked her and intermittently bawled. Pete got off the tractor and went down and put his arms around Rudy's neck. He lost it. He wept along side Rudy, over the passing of a dear old cow. The emotion that Pete witnessed coming from Rudy was powerful. It was sacred. A gift. It was further evidence that humans are not alone in our emotional experiences. Something that we already knew, but observing this was so visceral, raw and intense. We felt as though we had been invited into the center of a divine and hallowed experience. I wondered, did we really deserve to be welcomed into this space of pure love and grief? 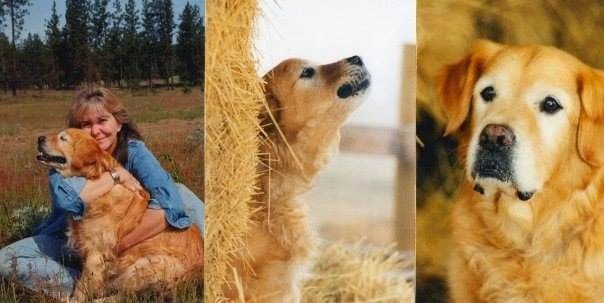 I felt gratitude and awe, especially in light of how callous humans can be to the emotional needs and bonds of animals. For days Rudy stood over Yula's grave and bellowed. It was heartbreaking and we felt helpless. Within a few weeks, our friend Sue Eakins, who had founded the new Dawn Montana Sanctuary, sadly passed away after a long battle with cancer. 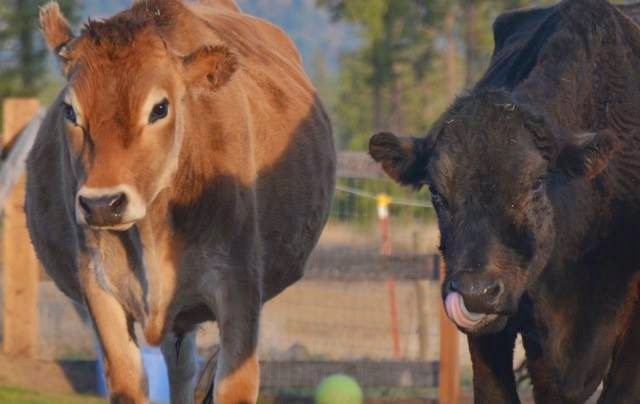 Within a month of her passing we welcomed two of Sue's steers; Henry and Bergh. The day the boys arrived from Montana was a good day for Rudy. It was a good day for everyone. I want to share this letter that Pete sent to Randy, our veterinarian, who gifted Yula to Rudy. I buried Yula this morning. Sadly, it is a task that I have had experience with over the years. This was perhaps the hardest. Rudy was in the area where I dug the hole. He would go over and sniff her while I was digging. I always prepare the grave with a long incline so I can gently pull the larger animals into the hole. What got me was after I placed Yula in the grave Rudy walked down the incline, licked her head and bellowed. He stayed with her for several minutes and continued to bellow. That finished me off. Any and all attempts to remain stoic were lost. She is now covered. Rudy is standing by her grave and letting out an occasional lonely moo. I am still something of a wreck. 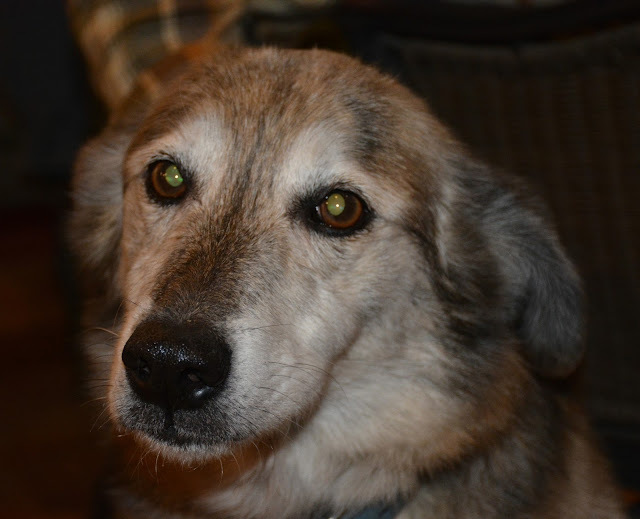 Thanks for letting us share part of Yula's life she was a beautiful and gentle creature.